making and began, while studying, to work for shops specializing in interior décor. These included Laubisch and Hirth (from 1933 to 1936 and from 1942 to 1943) and Leandro Martins (from 1936 to 1940). more modern shapes took concrete form when, in 1941, Oscar Niemeyer asked the young designer to decorate the interior of Francisco Inacio Peixoto’s property in Cataquases in Minas Gerais. 1942, and in 1947 his own shop. 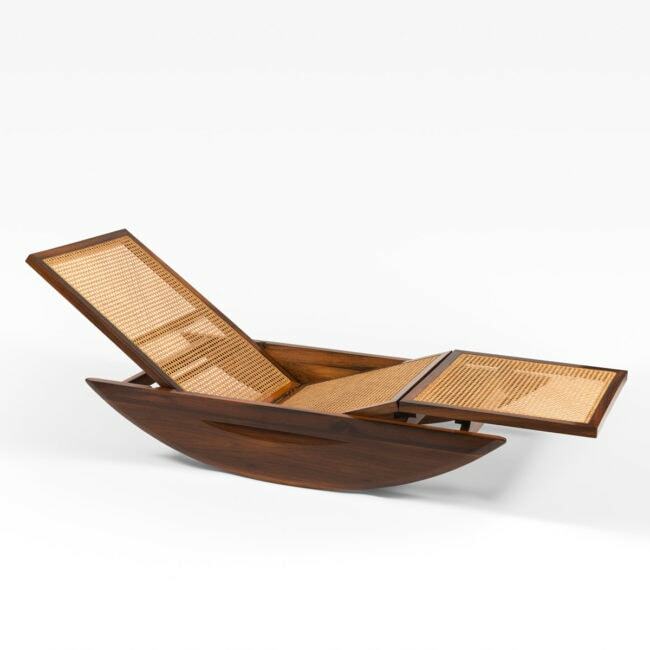 During this period he created pieces which later became iconic in the history of Brazilian design. 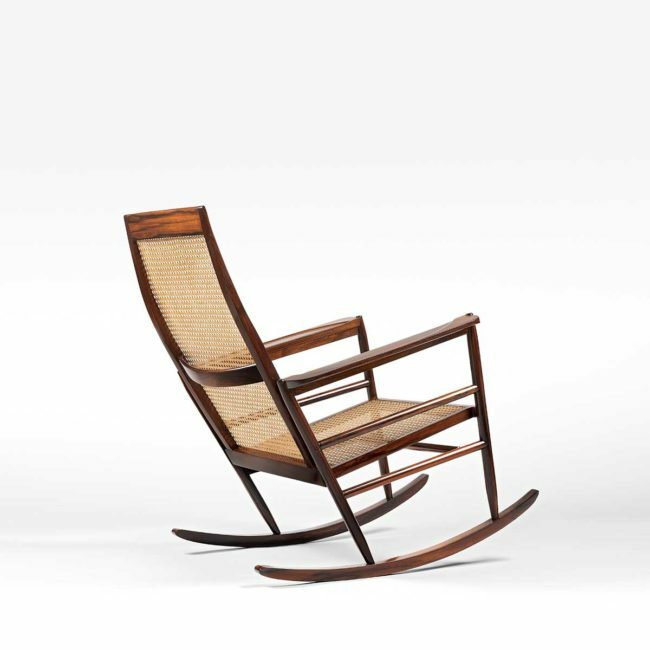 These include the estrutural chair (1947), the emblematic tripod chair (1947) and the ‘rocking chair’ (1948). As a designer, he became renowned not only for the modernity of his designs, their refinement and sobriety, but also for the quality of their execution. 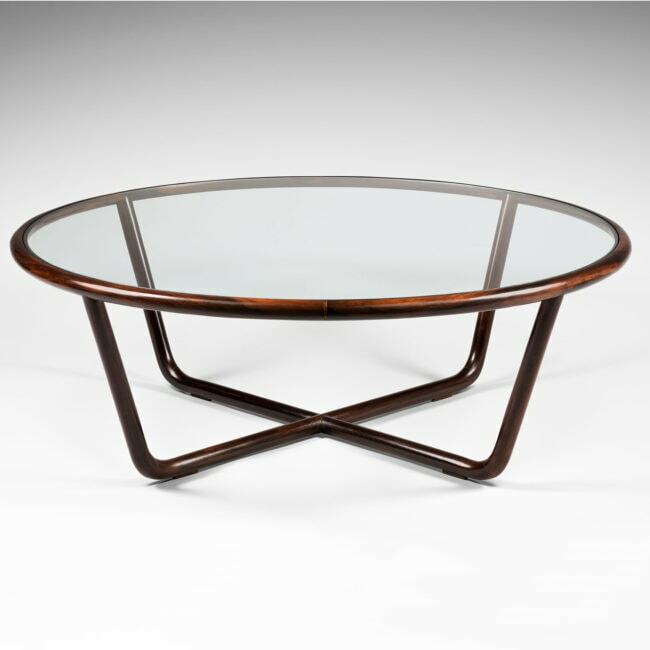 His training as a furniture maker and his knowledge of woodworking enabled him to use cutting edge techniques such as wood bending, in reference to Thonet. This was crucial for his ability to create pieces characterised by light, fluid lines, which reflected the new lifestyles made possible by the modern building being created by architects such as Oscar Niemeyer. Fuelled by his success, Tenreiro opened a shop in São Paulo in 1953 and a second shop in Rio in 1962. The Brasilia adventure began in 1956 and Oscar Niemeyer, who was in charge of the project, called on Joaquim Tenreiro to furnish the banqueting halls of the Itamaraty Palace, the site of the Ministry of Foreign Affairs. The architect also invited him to take on the total interior decoration of the Bloch publishing company in Rio de Janeiro in 1966. Tenreiro dissolved the company in 1968 in order to devote himself to sculpture and painting, which he incorporated into his important architectural projects. He participated in numerous exhibitions and salons, winning prizes such as the Golden dolphin Prize in 1977 and the prize for best sculptor in 1978. 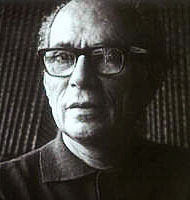 Tenreiro died in 1992. Two days later, the Journal do Brasil published an article in his honour, describing how he had ‘helped Brazil feel good at home’.